Another trip to the fantastic local woods! I found a small hidden lake in the local forest. The local forest never stops to reveal its secrets. This time I took my bike with my DJI Mavic Pro in the backpack and headed out to a small pond or lake I had seen on Google maps. 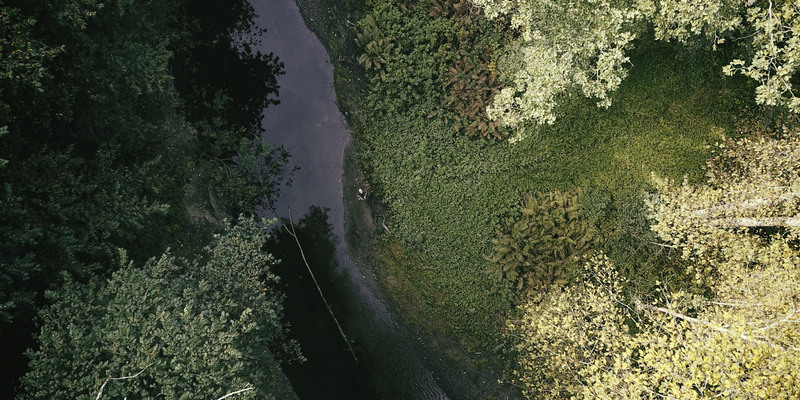 When I arrived I sat down on a fallen tree and unpacked the drone, removed the safety glass in front of the camera and put my smartphone in the remote controller. Then I hand-launched the drone since it was too much vegetation to fly from the ground. 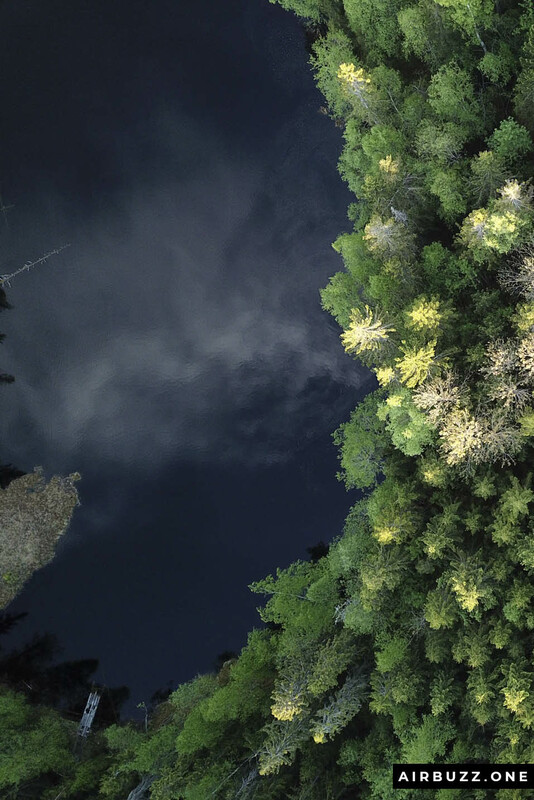 On one of my previous forest trips, I took several other cool pictures of trees from above, so be sure to check out that one too. 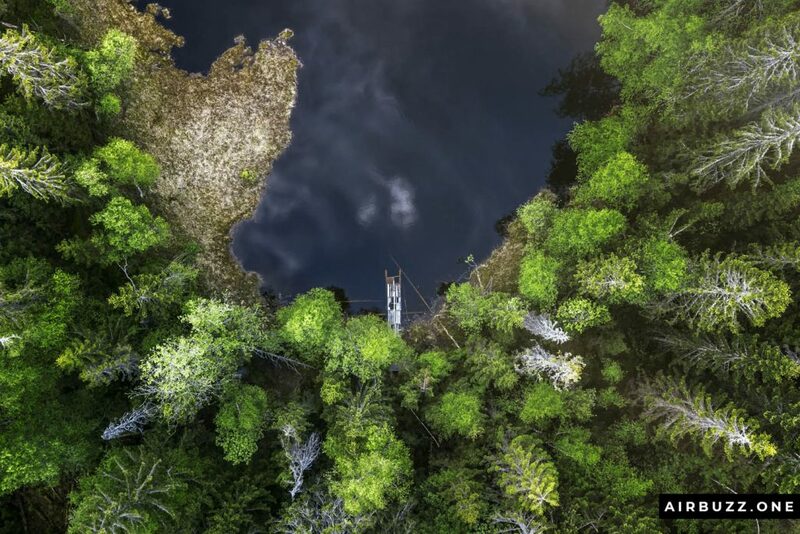 It is named 11 Mesmerizing drone pictures of trees from above! Also, be sure to check out my mysterious video from above the lake of the fast walker, or fast mover, UFO phenomenon at the bottom of this article. The small lake is called Fiskelaustjernet. In English, it can be translated to “the pond without fish” as there are few ways to renew the water in the pond and therefore not much life. I noticed a small white box at the end of the small lake and took the drone closer to it. 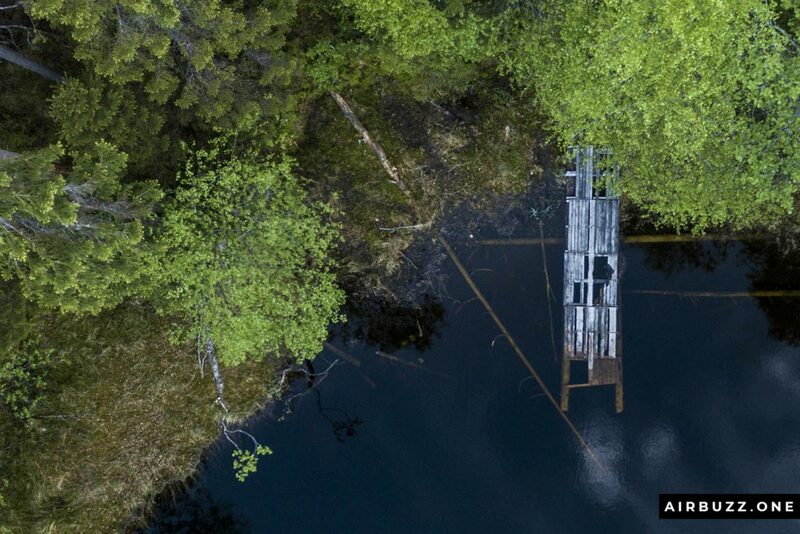 It was an old wooden pier – a cool detail in a landscape with only water and trees. Hope you like the pictures. Write a comment below if you want. 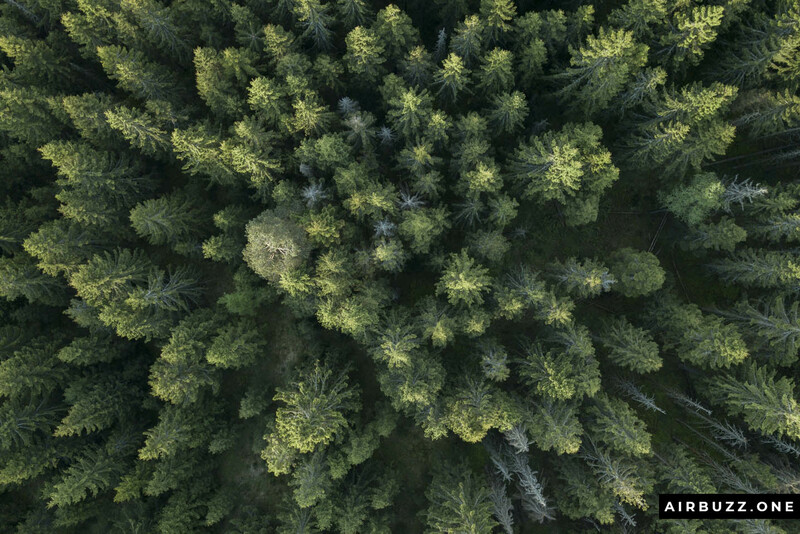 Do you like drone pictures of trees from above? 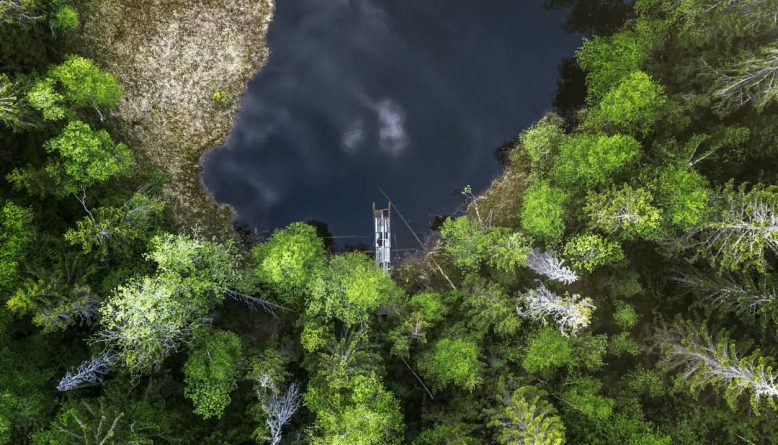 Another classic tree top drone shot. The wooden pier up close. Detail with the pond and the forest. 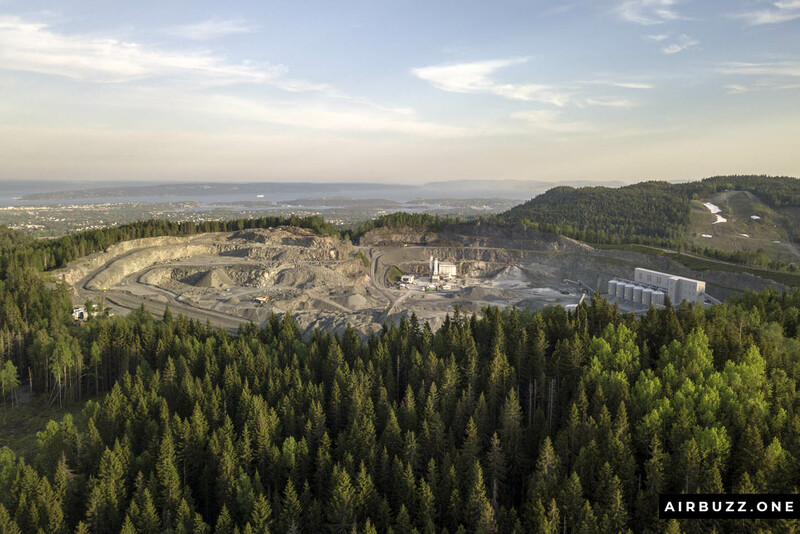 I flew a bit further south over the treetops and ended up near a local quarry, Franzefoss. Maybe a mission for another time? 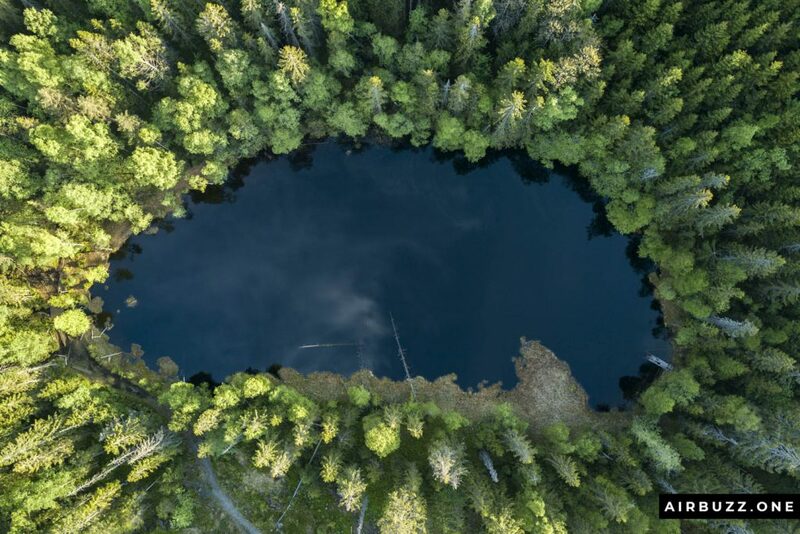 This is a little bit outside the main topic of this post, which is drone photography of a small lake, but I found this quite interesting. In addition to taking photographs, I sometimes film a little as well. I rarely edit the clips together, but those I have made is on my YouTube channel or on this page. In Secureteam10’s latest video he mentions the increasing phenomenon of so-called fast walker UFO’s caught on tape by drone pilots. 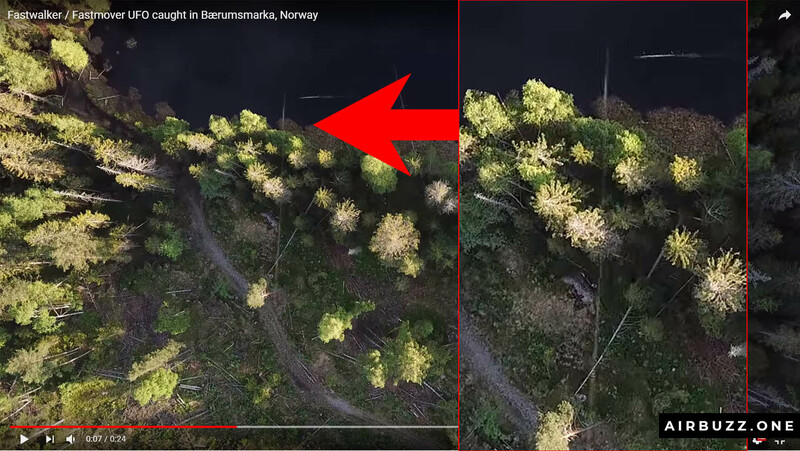 He specifically mentioned a Norwegian video from Trollstigen with one of these fast-moving lines no one can explain. This lines of light have been caught several times in space by ISS and NASA at incredible speeds. Really breathtaking views! This is such an incredible site! This is such a wonderful concept that I honestly never would have thought of. 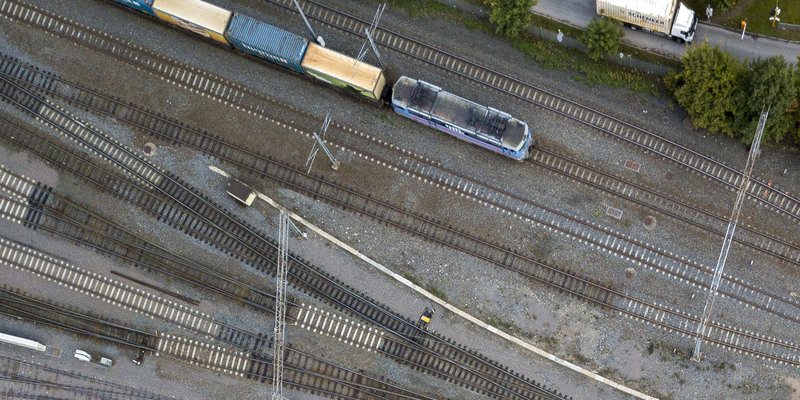 Now with drones becoming a greater part of technology the possibilities are endless. There are so many incredible sights to see that you really don’t realize are there. Looking at these beautiful pictures I am seeing a whole other perspective of the world than I have ever imagined.